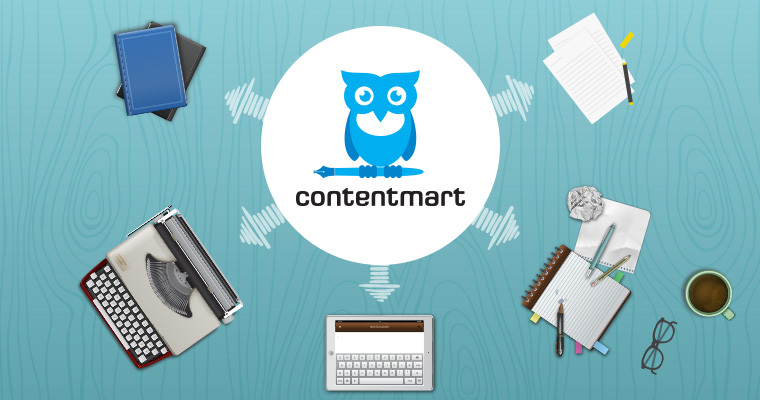 Contentmart.com is an online content marketplace specially designed for freelance writers looking for work and for the clients who are looking to have some content work done for their websites, social media channels, promotions and more from highly skilled and verified writers. In business since 2015, the organisation claims to be the 1st Indian content outsourcing marketplace with 5000+ successfully completed orders, 15000+ writers and 18000+ existing happy clients. Content Marketing is not only important to enhance your sales, but also helps in building your brand image and educating your existing and potential customers about what you are offering. Since a swift growth in Social Media channels like (Facebook, Twitter, LinkedIn etc.) has brought brands and customers closer, therefore now companies have more opportunities to reach and interact with their customers. Simply broadcasting your message to a large number of audience is not sufficient, as today marketing strategies need more customer interaction - which includes giving advice, posting engaging stories and offering information which interests your customers. It causes the need for a high-quality informational content like Articles, Blogs, Webpage content, SEO content, descriptions and reviews etc. to be published at regular intervals to add value to your brand and to keep your customers engaged. 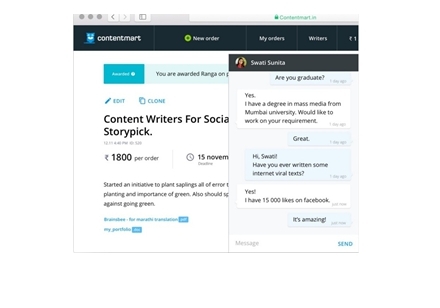 If you want to use Contentmart.com as a customer, you can simply register yourself, post a project and get access to thousands of freelance copywriters. You'll need to add the project details, choose the expertise and skill set you require for all writers, pricing options and deadlines for the project. Contentmart follows a very quick and easy client registration process. # Registration - You can log on to Contentmart.com and register yourself as a client with your email ID or you can also register via Facebook. #Create & Publish Order - Log into your account and go to "new order" to create your order. • Visibility (Visibility option on Contentmart offers you a choice to choose your writers. You can set visibility to everybody and start receiving bids or you can also select some specific writers or your favourite writer from whom you want to get your work done. You will start receiving bids from freelance writers once your order will be published. You can review the profiles of the writers by looking at their ratings, qualifications, portfolio, work history and skills. All freelance writers need to qualify the tests prepared by professional linguists to start working with Contentmart.com. The organization follows a strict screening process to deliver a high-quality content to its clients. Looking to start your career as a freelance writer? Contentmart is a smart way to earn some good cash. On this website, you can browse through an array of projects based on your expertise and interest type. Just register yourself as a writer, pass an English test, starting bidding, complete projects on time and get your writing skills paid well. #Registration - You can log on to Contentmart.com and register yourself as a writer with your email ID or you can also register via Facebook. #Getting Started - After registration, every writer need to qualify a compulsory test to start bidding and update their profile. You can also update your portfolio over the website to let your clients know your work and expertise. This will enable you to get more projects of your interest and will increase your chances of being a winner. #Bidding - You can place your bids on all the live projects. Once the client assigns a project to you, you need to complete the same within the given time period and submit it to the client. After client's approval, the payment will be transferred. #Verified Writers - You can also get a verified status from Contentmart and enrich your profile to get more orders. To become a verified writer, all the freelance writers need to follow the process given in the website's terms and conditions and update their profile accordingly. Your profile will be analysed by professional linguists and you will get a verified status after their approval. The organisation let their clients and writers communicate directly through built-in chat options available on the website. It enables the clients to track their work, send edits and queries directly to the writers. This also helps writers in getting all the clarification regarding the projects quickly and delivering work on time. Contentmart.com uses a fair and automated payment system. When any client publishes their order, they need to refill their wallet with the order amount published. Clients can deposit funds to the wallet by using Net banking, Credit/Debit cards, MobiWick or HDFC Payzapp mobile wallet. Whenever the client assigns a project to any writer, the amount of that order gets blocked and it automatically gets transferred to the writers wallet after the clients approval. The writers, then can transfer the money earned in their bank account by making a withdrawal request and submitting their account details. Contentmart.com do not charge any commission from the clients. The company only charges 10% for the withdrawal of funds. The organisation has a quick arbitrage support team which works closely with clients as well as writers in case of any issues regarding the quality of the content and payments. Contentmart.com today is a globally renowned platform which offers a wide variety of content services like copywriting, web page content writing, SEO content, articles and blogs, testimonials, product descriptions, editing, proof reading and everything you could possibly think of. Join today as a client or as a copywriter for all your content requirements or to showcase your skills. If you have any questions kindly comment below or directly ask from the contentmart.com via linkedin. 0 Response to "What is Contentmart.com? A Full Review ✭✭✭✭✭"